Gautam Mukherji Ji brings with him 40 years of experience in running Iron & Steel Industries and manufacturing units. 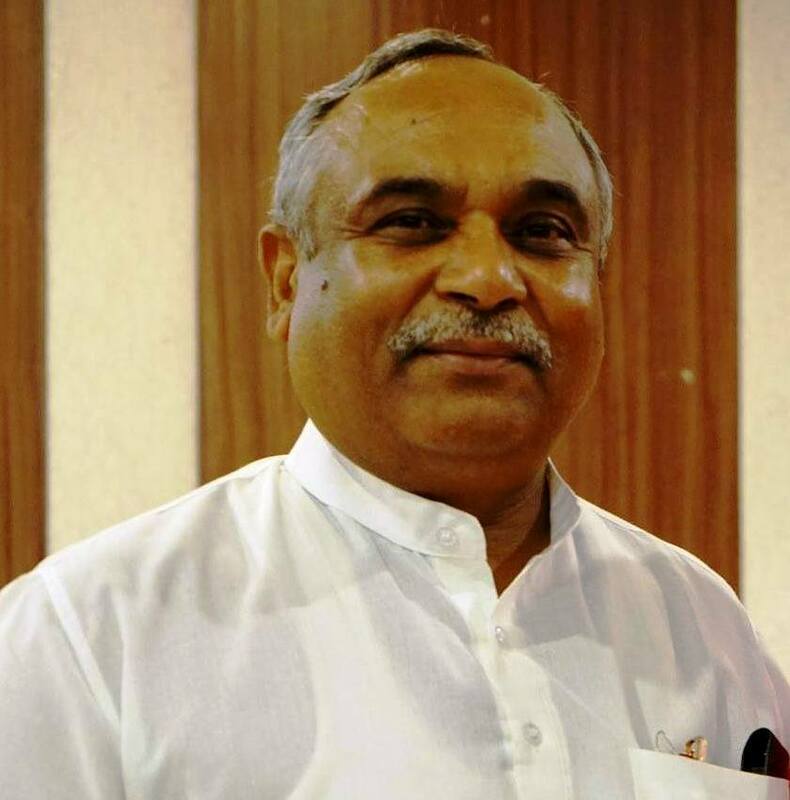 He was formerly the Chief Administrative officer in Sri Sri Ayurveda Hospital and member of Rajasthan Apex body. He guides strategy, administration of SSRVM institutions ensuring value-based, holistic and stress-free education to children and young adults. Rajita Ji was the Trustee of Sri Sri Ravi Shankar Vidya Mandir from 2009-13 and again from April 2017. Rajita Ji guides the strategy, academics and administration of these institutions ensuring value-based, holistic and stress-free education to children and young adults. As the President of World Forum for Ethics in Business (WFEB) – Brussels, Belgium. Rajita Ji leads a global Board of Directors comprising Members of European Parliament, CEOs, and international experts from business and development. Rajita Ji took over as the President of the prestigious Sri Sri University in India in April 2017. Before that, she served as a member of the Board of Governors of Sri Sri University from 2009. Rajita Ji is a certified Integral Associate Coach by Integral Coaching Canada ( www.integralcoachingcanada.com ). Ved Vigan Maha Vidya Peeth – India, As the Governor of Finance she oversees the administration of 425 educational institutions in India that reach free education to over 55000 children 20 states of India. She supports and guides the team in forging collaborations, fundraising and financial governance. 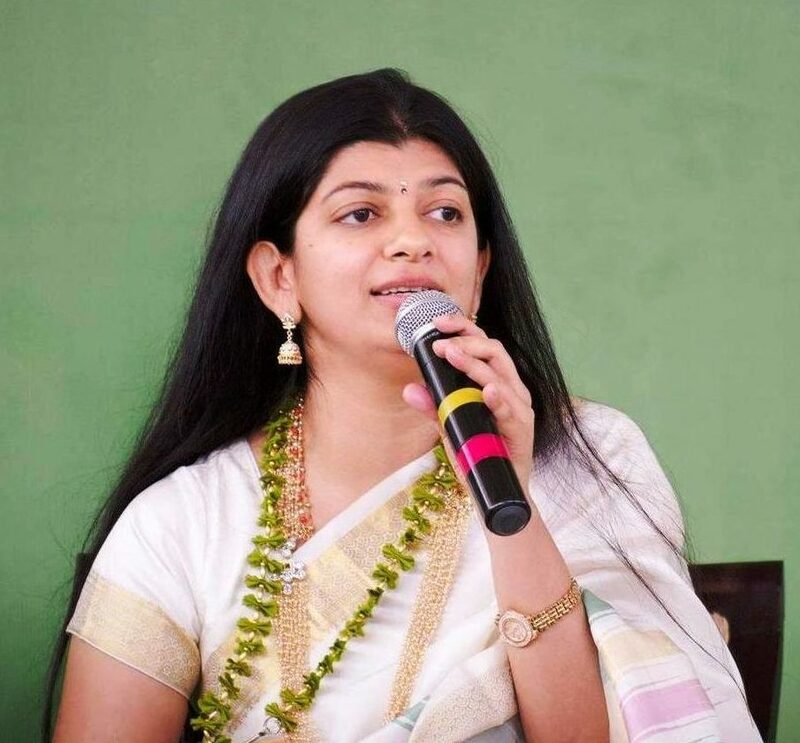 As a member of the Board of Art of Living Health and Education Trust – Washington, USA(AOLHET), Rajita is involved in supporting the mandate of holistic education around the world. 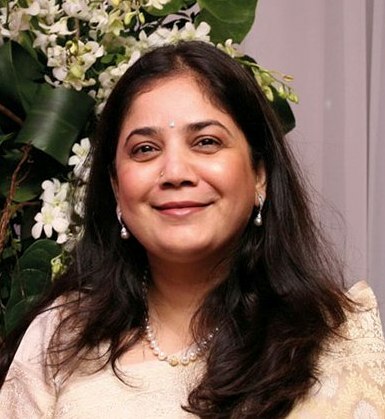 Citibank, N A.- Asia Pacific Region – Before committing her life to the full-time service of society in 2010, Rajita Ji was a banker for 18 years with Citi. She held many international leadership positions in her career, last of which was Asia Pacific Head of Customer Advocacy & Training for the Retail Assets Business of Citibank. Her portfolio responsibility was annual revenues of 750 million US dollars, 16000 employees and over 800 branches across 12 countries. Rajita has authored a book “The Gift of Life” an anthology of poems and co-authored two books “Vasudhaiva Kutumbakam – One World Family” and “The Great Women of India”. Smt. J Mohanasundari Ji started her teaching career in Selam Sri Sarada College and moved on to teach in Coimbatore Institute of Technology for 14yrs. In 1992, she moved from teaching to develop her entrepreneurial skills plunging into business with her husband Rotarian PHF K Jaganathan for manufacturing of brand little Master Mini Monobloc Pump and Brand Welding Electrodes by KAYJAY SHARP TRENDYS & SHARP ELECTRODES PVT LTD respectively. Her husband persuaded her to pursue a post graduation degree in Management. While being in business she did her MBA empowering her to hone her business acumen. Today Smt. J Mohanasundari admirably manages both the businesses in exemplary fashion. Both companies are in growth mode. Being a lady she encourages a number of women employees from the nearby villages for operating CNC machines, Automated Coil Winding Machines and Manufacturing Brand Monoblock Pumps. She is Board member in Avinashilingam JSS, Trustee in Sharp I.T.C, Member in FICCI Ladies Organisation (FLO) & Member in Inner Wheel Club of Coimbatore West. Jaina Desai is a lawyer by profession and has dedicated her life for the past 15 years to the cause of the Art of Living founded by Gurudev Sri Sri Ravi Shankar. A deep believer in the role of spirituality, human values and inner peace in solving societal conflicts, Jaina is a Director of the Art of Living. She is the trustee of Sri Sri Ravi Shankar Vidya Mandir Schools which run 95 educational institutions in India, the Middle East, and Nepal. She also serves on the Governing Board of Sri Sri University in Odisha, India. She has headed the Secretariat of Gurudev Sri Sri Ravi Shankar with a special focus on International Affairs and Digital Media Communications for the last 13 years having a vast experience in the area of International Relations. She is a teacher of the Art of Meditation and the Happiness program of the Art of Living and often teaches in Europe. Jaina has been a speaker and moderator at several editions of the International Women’s Conferences of the Art of Living. She has represented the International Association for Human Values at several seminars and conferences including the Global Network for Rights & Freedom’s Geneva Conference in February 2015. Jaina has been Director of the Art of Living Silver Jubilee, 30th and 35th-anniversary events held in Bangalore, Berlin, and New Delhi respectively. An avid reader and well-versed in 5 languages, she lives at the Art of Living center in Bangalore, India. Gautam Chellaram Ji is an industrialist of repute in the shipping industry and currently directs the commercial operations of KC Maritime from Hong Kong. With a strong background in commerce and people management, Gautam Ji brings to the SSRVM Trust international experience, scalable growth and professional management. He joined KC Maritime in 2001 and was appointed Commercial Director in 2005. Sri Sridharan Swaminathan is A Professional with a financial and legal outlook. Started his career as a member of the Madras Stock Exchange since 1992, Served for a term of 4 years as an elected Director of the governing council of the Madras Stock Exchange and Vice-President between 1996-97. 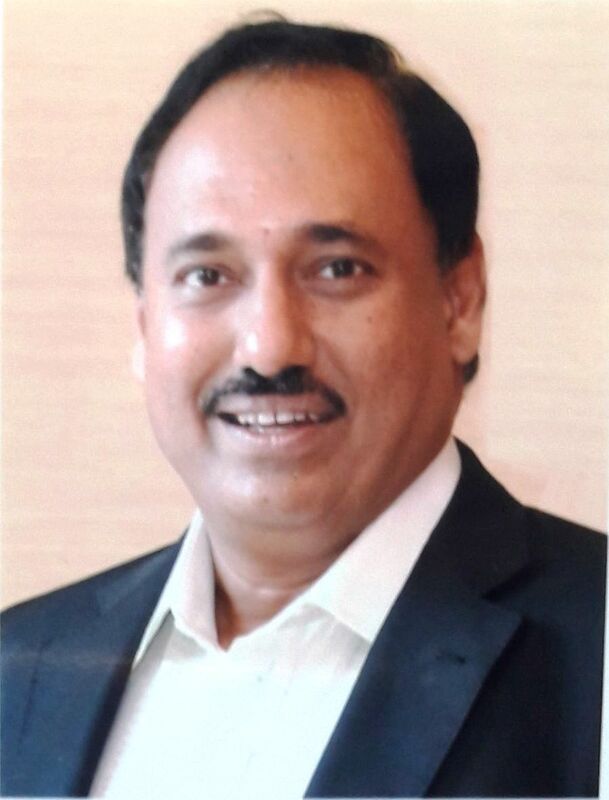 In 1992 he ventured in the Development and Real Estate vertical, as a Director , M/s.Sabari Builders Private Limited with the on board experience took over the realm at M/s.Sonex Realty Private Limited (presently Newry Properties) a Hong Kong based group Promoted by Shri. Manu Makhija having global presence in varied fields, since its inception in 1997 till date and ensured steadfast growth for the company. He Spearheads, Manages and administers the entire Indian operations of the Company. As Trustee of Makhija Foundation – managed by the Newry Group, has been instrumental in establishing the Two Schools under one banner “Shrishti Schools” Vellore viz. ShrishtiVidyashram with CBSE Syllabus &Shrishti Matriculation spread on a 30 acres campus with a total strength of about 2400 students, Actively involved in the INCEPTION AND MANAGING OF Manu Makhija Memorial Shrishti School, a school for the under privileged. Presently 400 children are benefited. A member of the Confederation of Real Estate Developers Association of India (CREDAI – Chennai). Presently The Vice President of the Chennai Chapter.